It is time to bid farewell to the winter season and welcome the spring season. Both our skin and lips have suffered a lot during the winters, and now it is time to scrub and massage them so that they are summer-ready. For the skin, you may opt for a lavish body scrub session or do it at home while indulging in your bath tub and I-pod just like me. 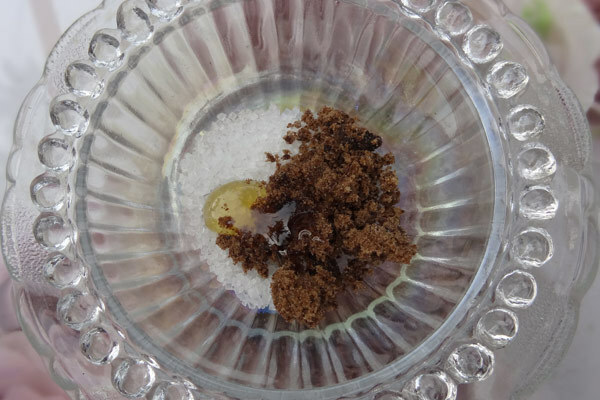 For the lips, you could either buy a lip scrub or read further to make your own homemade sugar scrub for lips so that you do not need to visit the store. Sugar is the most easily available and least harmful substance to be used as an ingredient in the preparation of this lip scrub. So that would be our main ingredient. 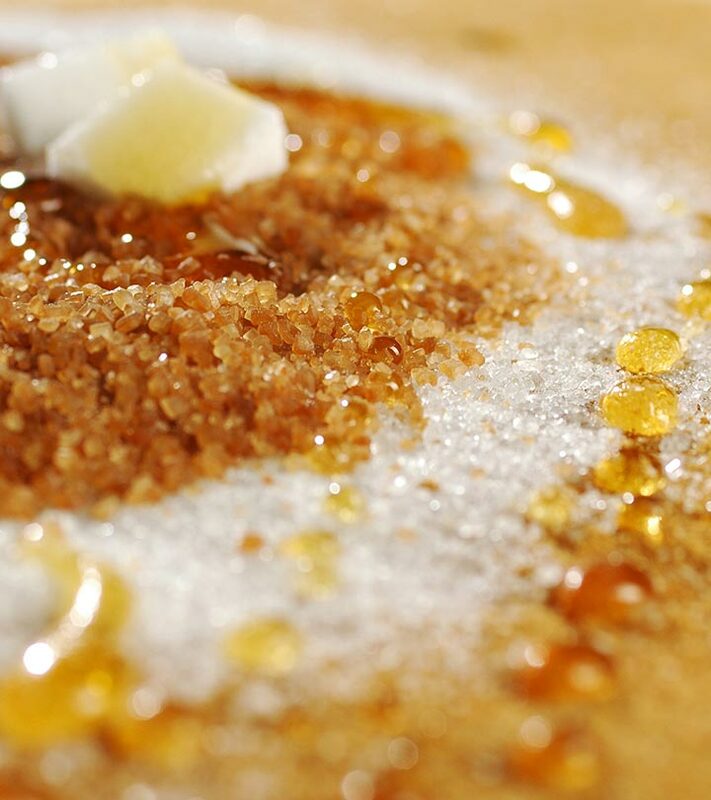 We shall use both white and brown sugar because they both offer different benefits. Now since we are talking about the lips, the scrub has to be nourishing and soft on them, right? That is the reason I have added honey and almond oil to the ingredients list since they are the most likeable nourishing substances. 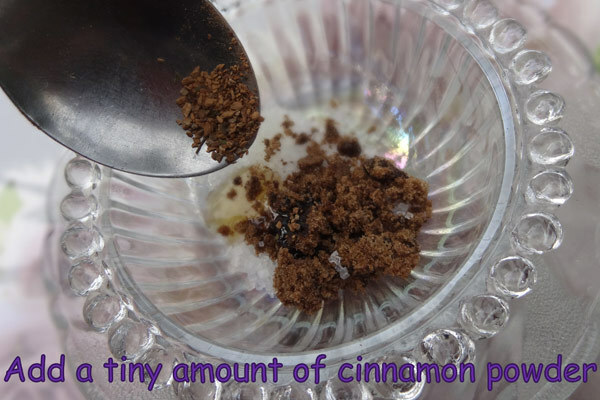 I have also included cinnamon in this list because this will bring a nice flavor to our lip scrub recipe. Is that all for cinnamon? Well, no. I have heard that cinnamon acts as a natural lip plumper too. Sounds amazing? Now go climb your kitchen shelves to catch hold of the corners where your mother must have hidden the cinnamon container. Firstly, take a nice bowl to which our ingredients will be added. 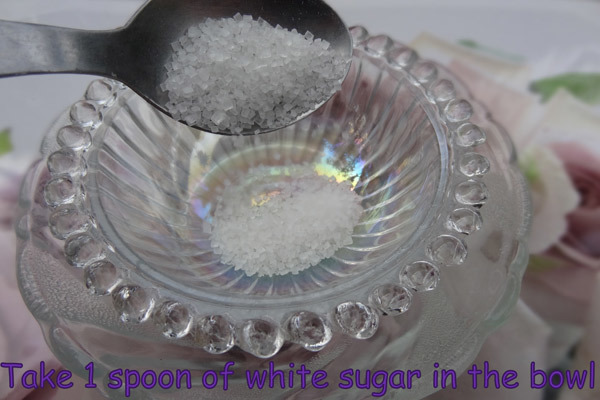 Add 1 teaspoon of white sugar to it. 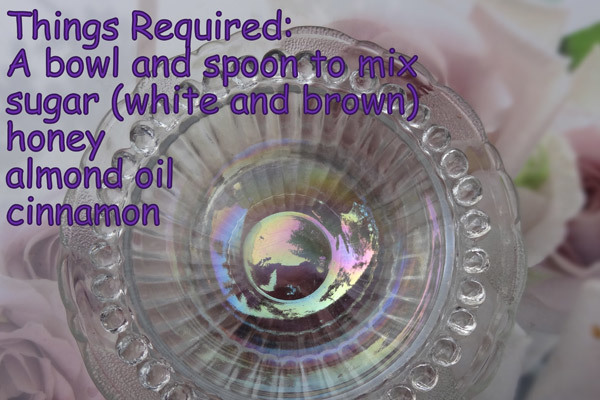 Note: We are taking ingredients for the scrub mixture to serve 3 uses only. If you want the same for lesser or more number of times, you can adjust the quantity accordingly. Now add half a spoon of brown sugar. No it doesn’t mean that I am partial between the two sugars; it’s because we need more of the granular component in the scrub which is provided by white sugar. 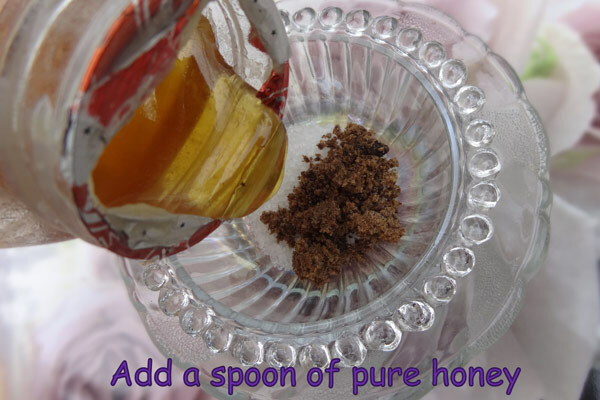 Add half to one teaspoon of pure honey according to your comfort and liking. 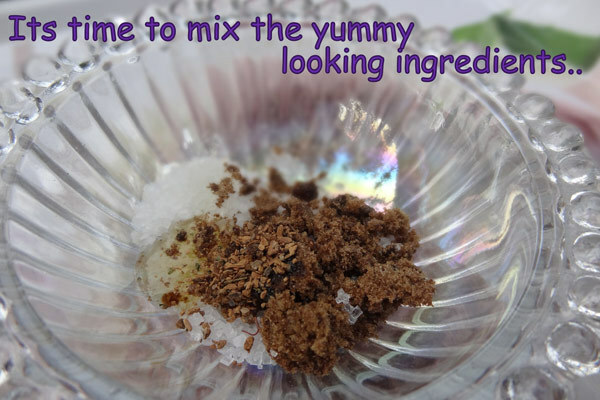 The mixture appears all the more attractive as we keep adding the ingredients. 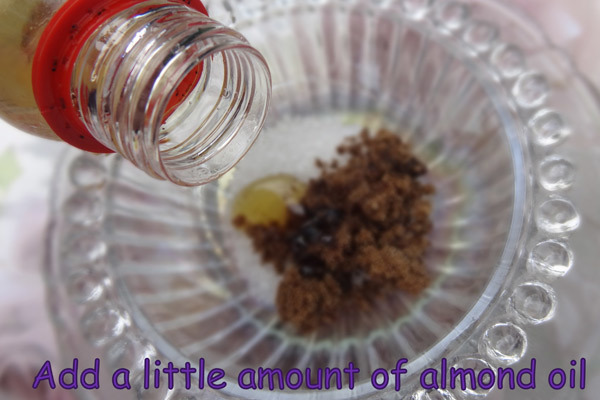 Add a little almond oil to the mixture. You would find me using almond oil in most of my DIYs since it is my favorite. It does not give that sticky, oily feeling. It does a lot of favor to our skin than we can think of. Just a dash of cinnamon is required here in this mixture. It changes the aroma of the mixture and who does not want plumped lips? Though it may not work for everybody, if that would have been the case – actresses would have bought 2 kgs of cinnamon in their weekly grocery shopping instead of going for a lip surgery. Even if it works for some of us or to a minute extent; we still have nothing to lose, right? Now, mix them well. You’ll get a paste-like consistency at the end. This is how the final lip scrub looks. Doesn’t it resemble chyawanprash? That does not mean you have to eat it! 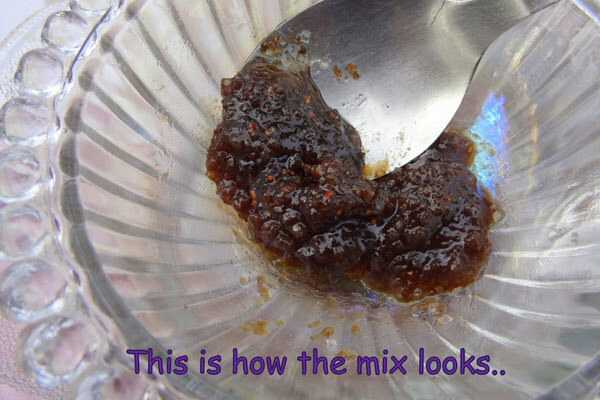 Scrub your lips with this mixture and rub over them with light strokes of your finger. 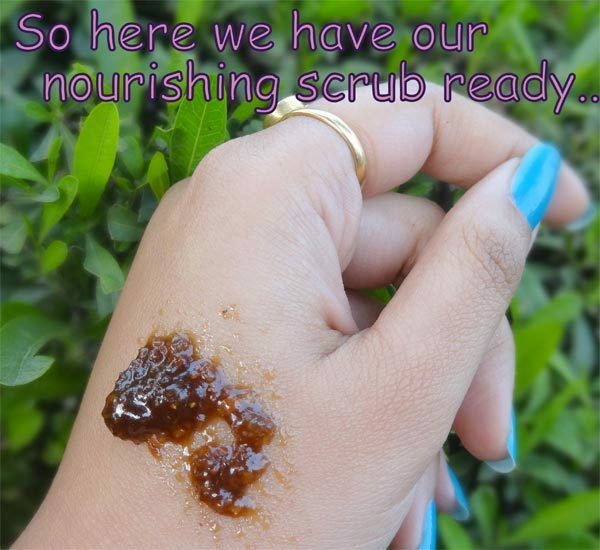 Scoop a tiny amount of the mixture 2-3 times while scrubbing and rub it along the corners of your mouth as well. Finally wash off with lukewarm water. Apply Vaseline or a lip balm after this if required. I found the lip scrub to be very nourishing and did not require my lip balm for another 2 hours. 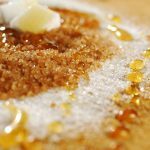 Got to know how to make homemade sugar scrub for lips? 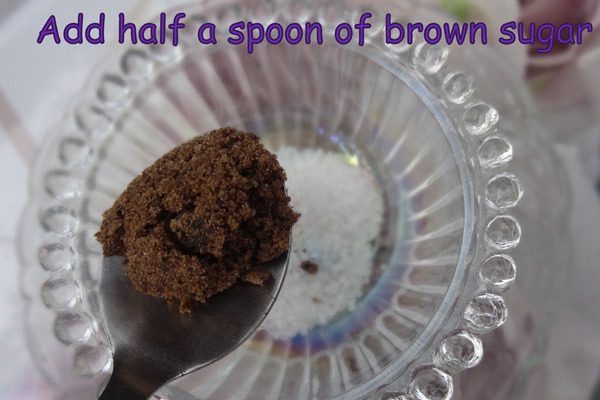 Do try this homemade lip scrub and let me know your experience in the comments section below. Until next time take care!